The Boeing X-37B, also called X-37 Orbital Test Vehicle – OTV – is a reusable unmanned spacecraft that is manufactured by Boeing and operated by the United States Air Force. It is delivered to orbit on top of an Expendable Launch Vehicle and spends several months in orbit before returning to Earth as a spaceplane gliding to a landing on a runway. The US Air Force has stated that the vehicle is intended to demonstrate reusable space technologies and fly experiments to space, but the exact objectives of the vehicle and its missions are kept secret. 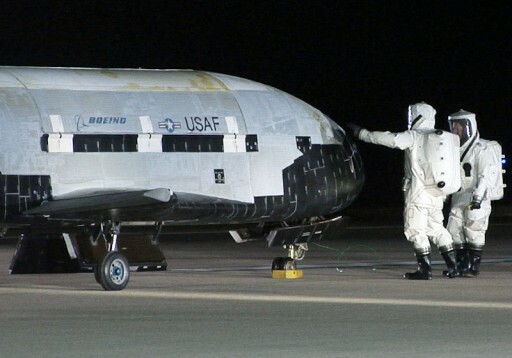 The X-37B is 8.9 meters long, 2.9 meters tall and has a wingspan of 4.5 meters. It has a loaded weight of 4,990 Kilograms. It features two angles tail fins. The Payload Bay of the vehicle is about 2.1 by 1.2 meters in size. 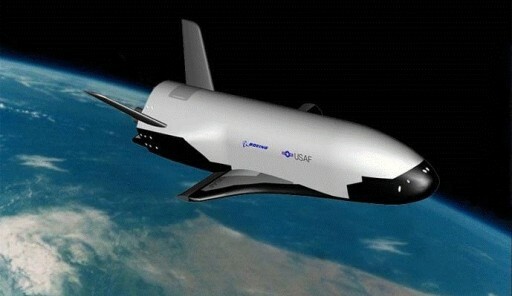 X-37B is powered by a single Aerojet engine using storable propellants. The Main Propulsion System provides a total thrust of about 700N and X-37B’s propulsion system is capable of providing a total delta-V of nearly 3.1km/s over the course of a mission. Power generation is accomplished with a solar array consisting of Gallium Arsenide solar cells. Also part of the power system are lithium-ion batteries. 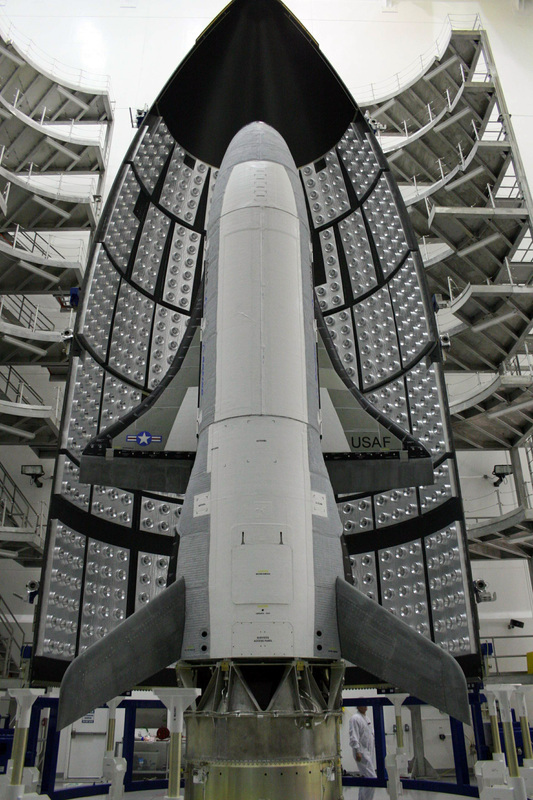 The thermal protection system of the X-37B is built upon previous generations of atmospheric entry spacecraft using silica ceramic tiles to protect the vehicle from the harsh re-entry environment. The wing-leading edges of the spacecraft feature uni-piece fibrous refractory oxidation-resistant ceramic (TUFROC) tiles. Advanced conformal reusable insulation (CRI) blankets are used for thermal control. The spacecraft features an autonomous guidance system as well as modern avionics and flight computers. The vehicle is not equipped with hydraulic systems, all flight controls, aero surfaces and brakes use electromechanical actuation. The vehicle is rated for missions of 270 days – but as OTV-2 and OTV-3 have shown, X-37B is capable of staying in orbit significantly longer. OTV is a testbed for advanced guidance, navigation and control, thermal protection systems, avionics, high temperature structures and seals, conformal reusable insulation, lightweight electromechanical flight systems, and autonomous orbital flight, reentry and landing. 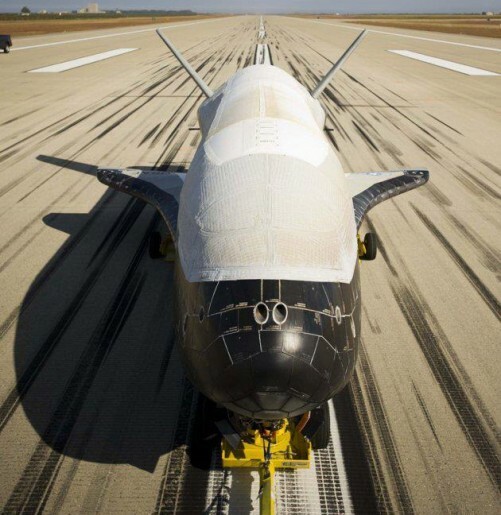 According to Boeing, X-37B is capable of operating in orbits with altitudes from 200 to 925 Kilometers. 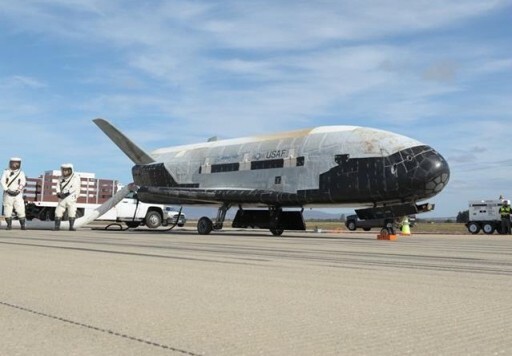 Objective: “The X-37B Orbital Test Vehicle, or OTV, is an experimental test program to demonstrate technologies for a reliable, reusable, unmanned space test platform for the U.S. Air Force. 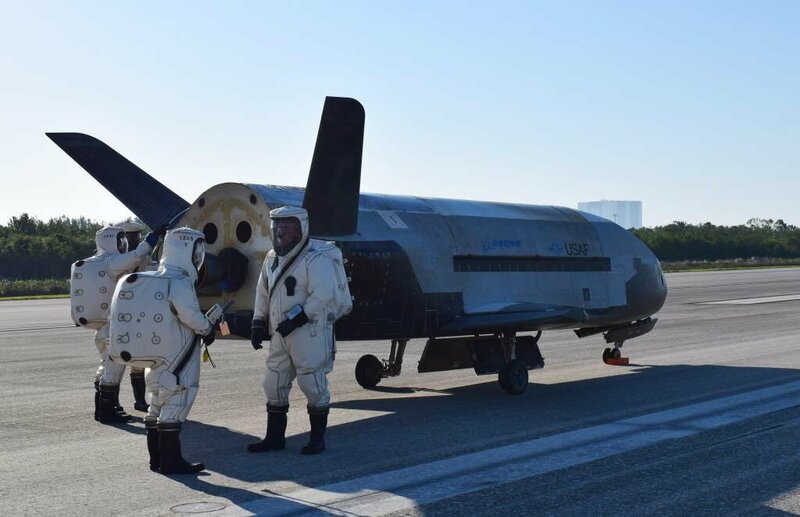 The primary objectives of the X-37B are twofold: reusable spacecraft technologies for America’s future in space and operating experiments which can be returned to, and examined, on Earth,” according to the US Air Force. 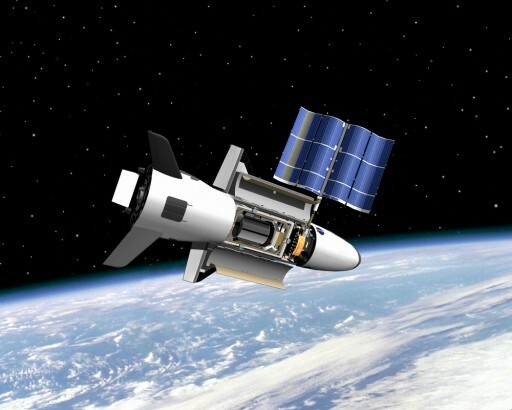 The X-37 project was initiated by NASA in 1999 when Boeing Integrated Defense Systems was awarded a contract to design and develop a reusable orbital vehicle. NASA, Boeing and the US Air Force contributed at total of $192 million over four years and in 2001 Boeing was awarded a new $301-million contract as part of the NASA Space Launch Initiative. X-40, an 85% scale-model of the X-37, was used from 1999 to 2001 to test aerodynamics and navigation technologies for the X-37. 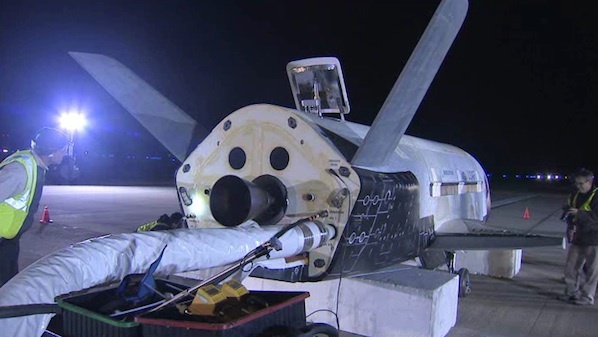 The vehicle was used for a number of drop tests making approaches to simulate X-37 landings. In 2004, the X-37 project was transferred from NASA to the Defense Advanced Research Projects Agency (DARPA) and eventually, the X-37 became a classified project. Originally, the X-37 was planned to be delivered to orbit by the Space Shuttle, but once the end of the Shuttle Program had been announced, the vehicle was re-designed to use Expendable Launch Vehicles. The aerodynamic design of the X-37 resembles that of the Shuttle and thus, the two vehicles have similar flying properties. The X-37 was designed for a number of purposes, most of which are still classified. During the design of the vehicle, one objective was to use it to rendezvous with other satellites for refueling or basic repairs using a robotic arm. X-37 can carry a number of payloads to perform demonstrations of new technology and space-based system in the space environment. In June 2005, X-37 made its first captive flight before undergoing upgrades and modifications, including the reinforcement of the nose wheel support structure. After a number of delays, the vehicle performed its first free glide flight on April 7, 2006. Two more successful free flights followed later in 2006. In November of that year, the US Air Force announced that it would develop the X-37B Orbital Test Vehicle from NASA’s X-37A. The development program was led by the US Air Force Rapid Capabilities Office along with NASA and the Air Force Research Laboratory with Boeing remaining the prime contractor. OTV-1, the first X-37B to fly to space, launched on its mission, also known as USA-212, aboard an Atlas V 501 Launch Vehicle from Space Launch Complex 41 at Cape Canaveral Air Force Station on April 22, 2010. Operating as USA-212 in orbit meant that OTV was part of the USA series of military spacecraft for which no orbital information is released. No details of the experiments inside the vehicle’s payload bay were released and the Air Force stated that the mission duration would depend on the progress of the experiments and demonstrations in orbit. OTV-1 Mission Control was handled by the 3rd Space Experimentation Squadron, 21st Space Wing that is part of Air Force Space Command. Over the course of the mission, satellite trackers around the world tried to spot the vehicle and characterize its orbit. It was determined that OTV-2 was released into a 403 by 420-Kilometer Orbit with an inclination of 40 degrees. The spacecraft repeated its ground path every four days, demonstrating that X-37B can fly imaging reconnaissance mission profiles. During the mission, the vehicle made a number of orbit adjustments changing its altitude and ground coverage. 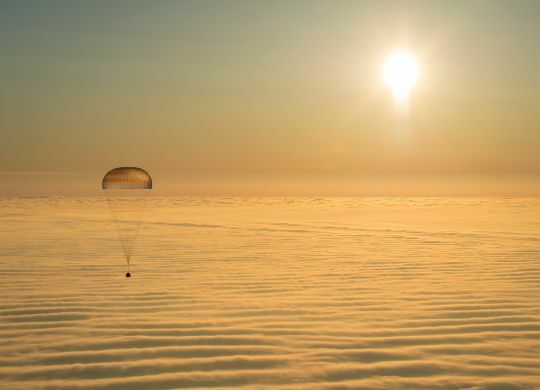 During a short period in the mission, OTV-1 repeated its ground track every two days and late into the flight, the orbit of the vehicle was lowered to 281 to 292 Kilometers. It is estimated that the first four orbit changes of the mission required at total delta-V of 102m/s. On December 3, 2010, OTV-1 was deorbited, entered the atmosphere and performed an automated landing at Vandenberg Air Force Base after 224 days and 9 hours in space. During landing, OTV-1 suffered a tire blowout and sustained damage to it underside. In November 2011, the Air Force announced that the mission would be extended beyond the 270-day designed mission due to ongoing experimentation. Again, the vehicle was spotted by satellite trackers around the world. OTV-2 was orbiting Earth in a low orbit inclined 42.9 degrees. The spacecraft started in a nearly circular 317 by 319-Kilometer Orbit. Over the course of the mission, the orbit was modified and varied between 317 and 344 Kilometers. OTV-2 landed on Runway 12 of Vandenberg Air Force Base on June 16, 2012 after making a deorbit maneuver and re-entering the atmosphere. The mission had a duration of 468 days and 13 hours. The OTV-3 Mission was flown by the X-37B vehicle that completed the OTV-1 Mission in 2010 to add to its 224 days in orbit. OTV-3 made its way into orbit on December 11, 2012 shrouded in the usual secrecy associated with this program as no information on the payload carried by the X-37B was released and the orbital destination was not revealed either. It took less than one day for satellite trackers to spot the spacecraft in an orbit of 345 by 363 Kilometers at an inclination of 43.5 degrees. OTV-3 broke the previous record of 468 days set by OTV-2 and continued orbiting Earth, passing 500 days in April 2014 – showcasing the vehicle’s capabilities in terms of longevity. Unlike OTV-1, the X-37B performing this mission did not make frequent orbital maneuvers and maintained an orbit around 382 by 406 Kilometers. The OTV-3 spacecraft returned to Earth on October 17, 2014 after a mission of 22 months, landing at Vandenberg Air Force Base. Visit the OTV-3 mission updates page for continuous mission coverage from pre-launch to landing. OTV-4 – most likely flown by the second production X-37B – began on May 20, 2015 with a flawless launch atop an Atlas V rocket. The mission used an initial orbit of 312 by 325 Kilometers at the program’s lowest inclination to date at 38 degrees followed by maneuvering in August 2015 that lifted the craft into a 349 by 357-Kilometer orbit. OTV-4 maintained the 355-Kilometer apogee while the perigee was allowed to drop to 325 Kilometers. Throughout 2016, the vehicle remained in this orbit before lowering itself into a 307 by 320-Kilometer orbit in February 2017 and then into a 320 x 327-Kilometer orbit where it remained until landing. 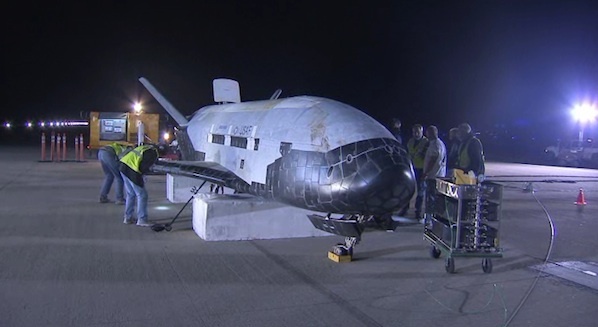 X-37B OTV-4 was the first mission in the program to land at Cape Canaveral’s Shuttle Landing Facility, concluding a flight of 718 days on May 7, 2017 – continuing to push the flight duration of X-37B missions. The first is an experimental propulsion system that has been developed by the Air Force and Aerojet Rocketdyne. 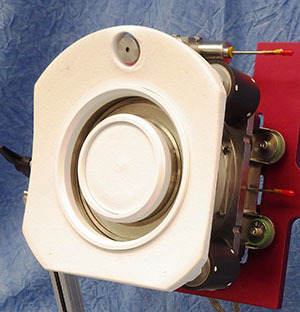 The XR-5A Hall Effect thruster was planned to undergo characterization in orbit to point to any modifications that need to be made to the system before being flown aboard the AEHF (Advanced Extremely High Frequency) satellites that provide secure communications for military application. The test was to involve operation of the thruster over an extended period of time to learn about any degradation that may occur in the space environment through analysis of telemetry gathered from the thruster and data from OTV’s accelerometers, measuring the thrust delivered by the system. Aerojet Rocketdyne issued a statement back in July 2015 noting the thruster had completed initial on-orbit validation testing aboard the X-37B. The second publicly known payload hosted by OTV-4 is a materials science experiment operated by NASA. The Materials Exposure and Technology Innovation in Space, METIS, experiment exposed an array of nearly 100 different material samples to the space environment to study the response of the various materials with special focus on degradation as a result of ionizing radiation and metal corrosion by atomic oxygen in Low Earth Orbit. METIS materials include polymer samples, composites and coatings that may find future application in the construction of spacecraft. A similar experiment has been in progress aboard the International Space Station where over 4,000 samples were exposed for a period of a few months to several years.